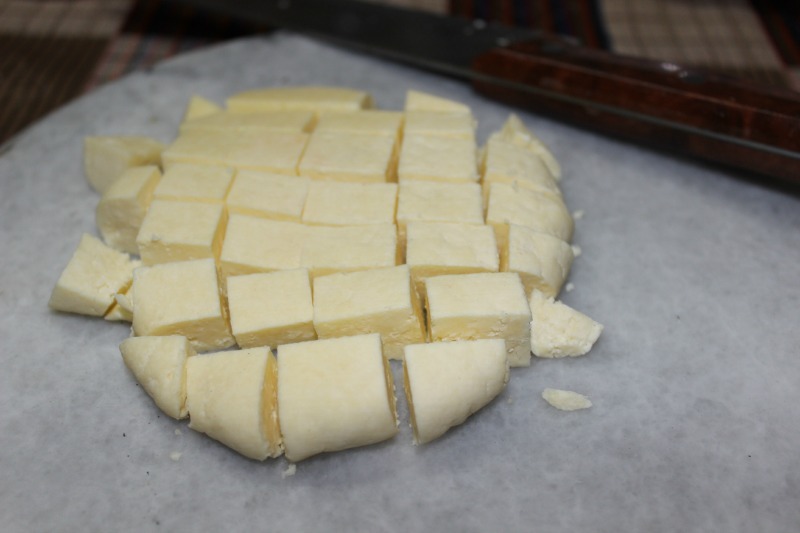 Paneer(cottage cheese) is quite easy to make at home.Paneer is a good source of calcium and protein.It is used in many Indian recipes for desserts,gravies,pulaos and many more. 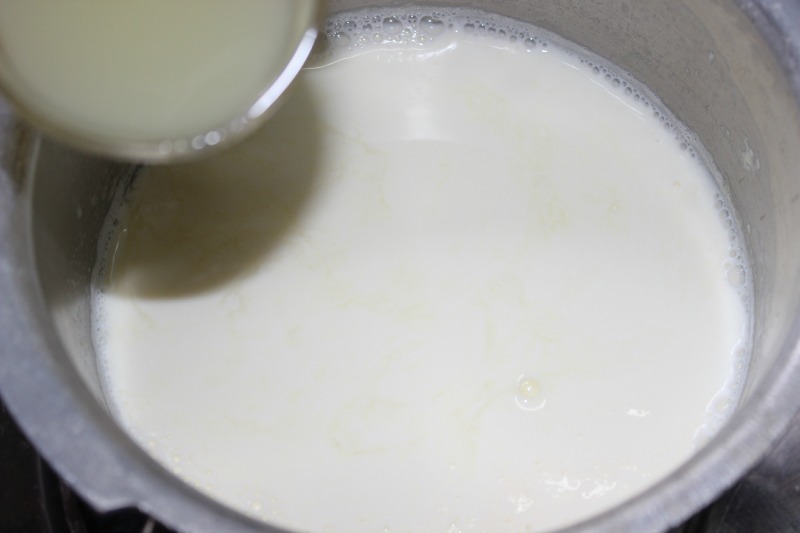 Bring the milk to boil in a heavy bottomed vessel.Turn off the heat,after 5 mins add the lemon juice and stir well.Leave this for 5 mins. 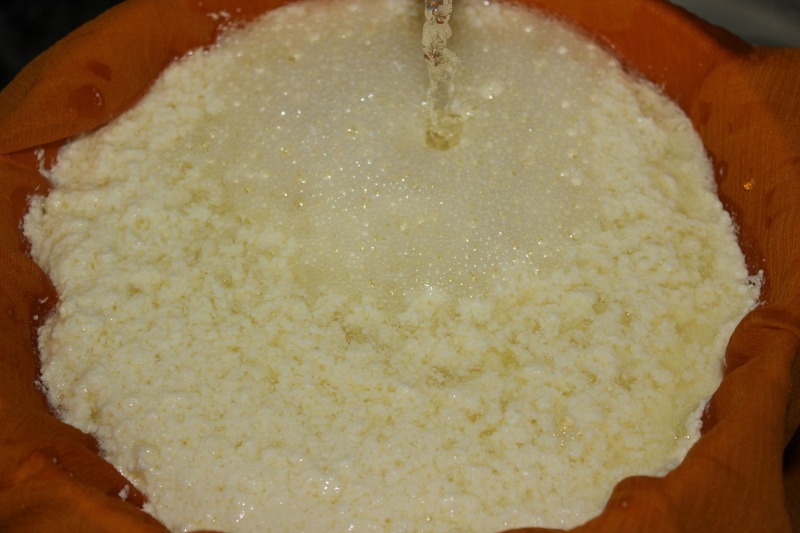 Strain the mixture through the muslin cloth in a strainer.Wash the curdled milk with water to remove the sourness of lemon. 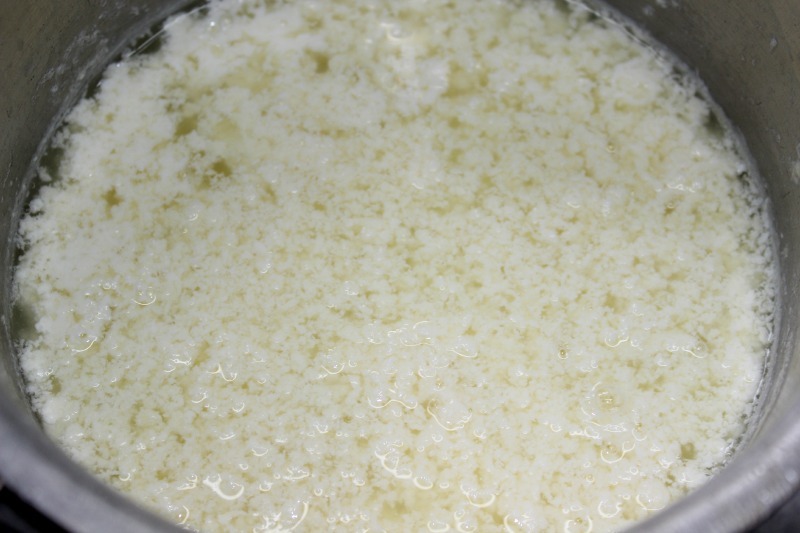 Wrap the cloth and gently squeeze to remove the water from the curdled milk.Wrap the cloth tightly and let it hang for 30 minutes. 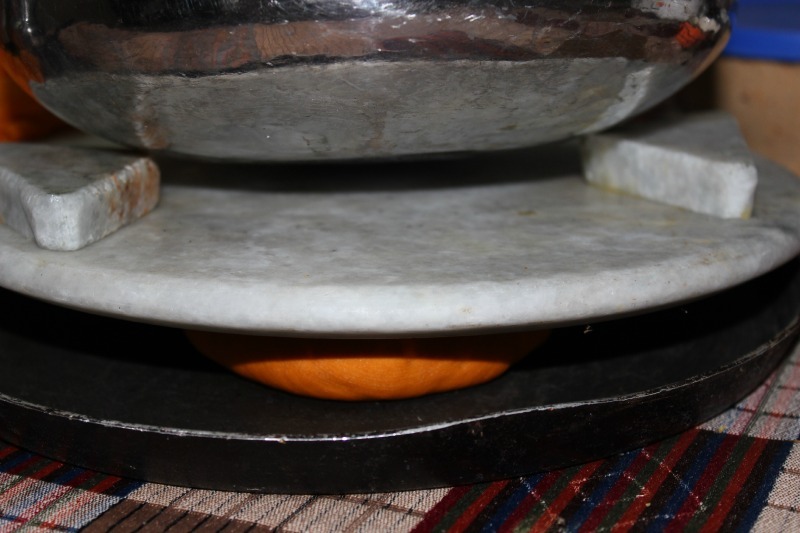 Now place this on a flat surface like a dosa tawa with something heavy on top of the cloth to give them good pressure.Let it stay for an hour.I used a dosa tawa,a roti board and a pot filled with water to give pressure. 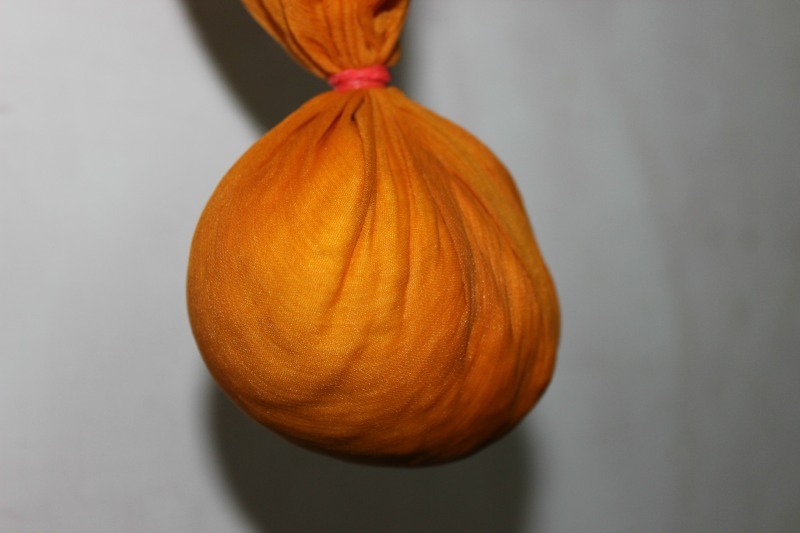 Open the cloth and the paneer block is ready now. 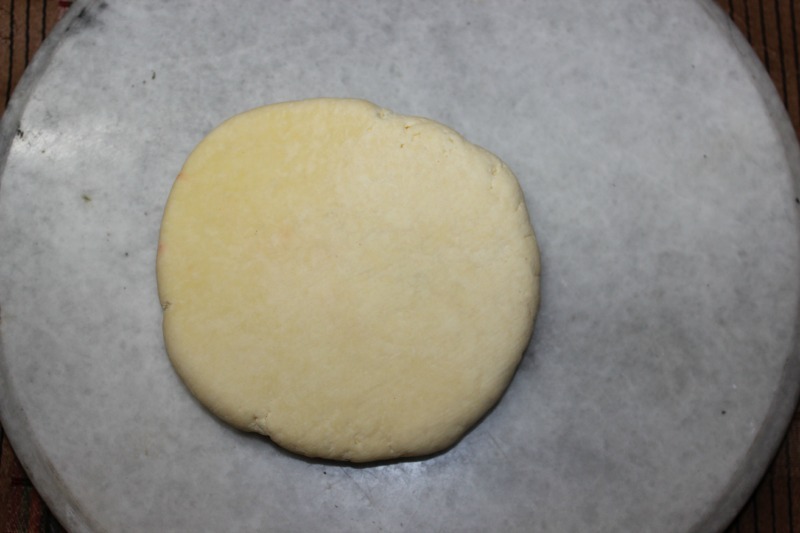 Cut them to your desired shapes and sizes. 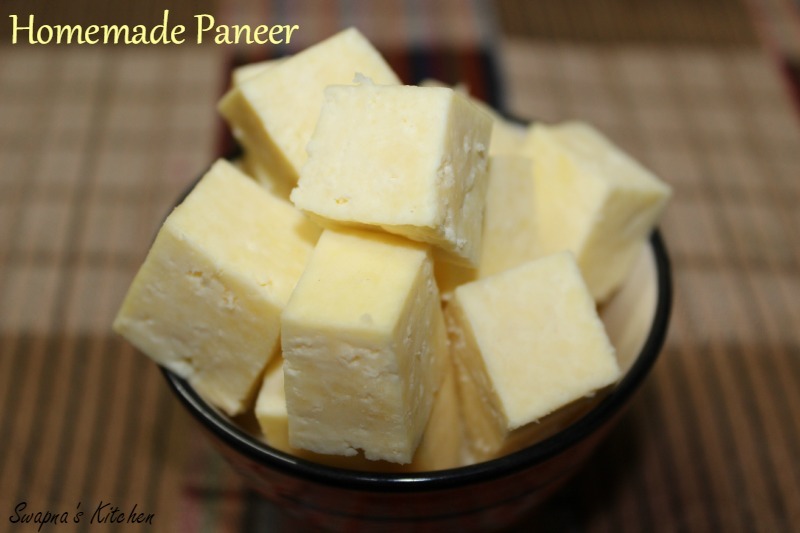 Homemade paneer is ready and you can use them to make your favourite dishes and desserts. 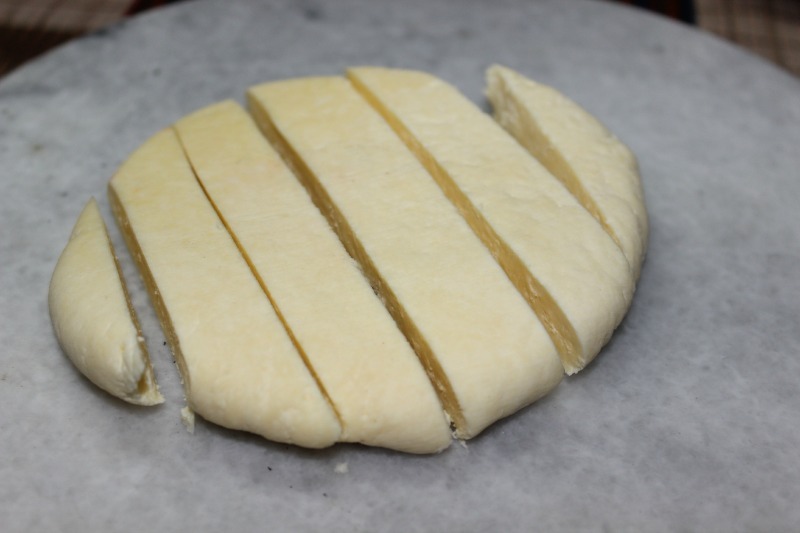 Your home-made paneer looks fabulous!!! MMMM!